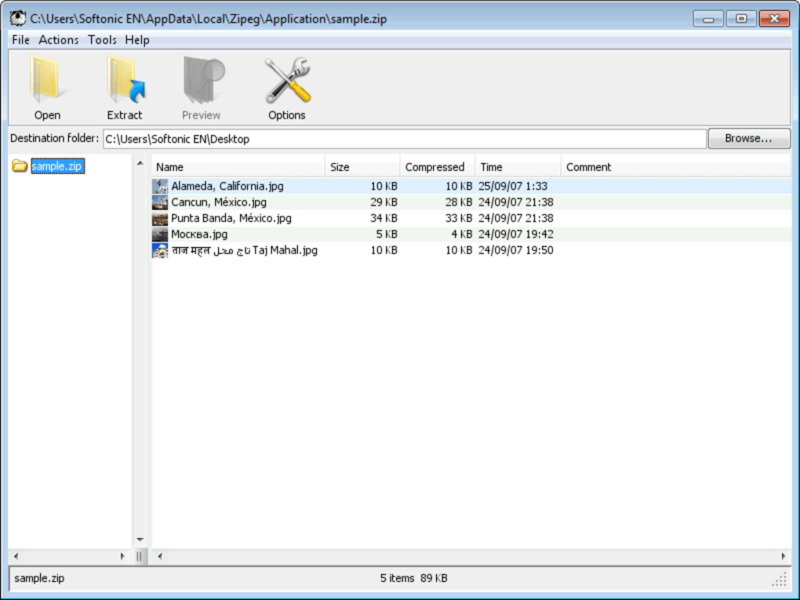 If you have to decompress files regularly, especially image files, you may find Zipeg interesting. It's definitely one of the nicest image decompressors we've used in a while. ZIP, RAR, ARJ, LHA/LZH, 7z, TAR, GZ, TGZ, BZIP2, CPIO, RPM, ISO, CHM, Z, CBR, CBZ, WAR and EAR. You can extract/unzip items in Zipeg simply by dragging them and the interface is remarkably easy to use and good looking. It can process archives in the background whilst you work, sorts content of folders by name, size or date and automatically checks for the latest updates. 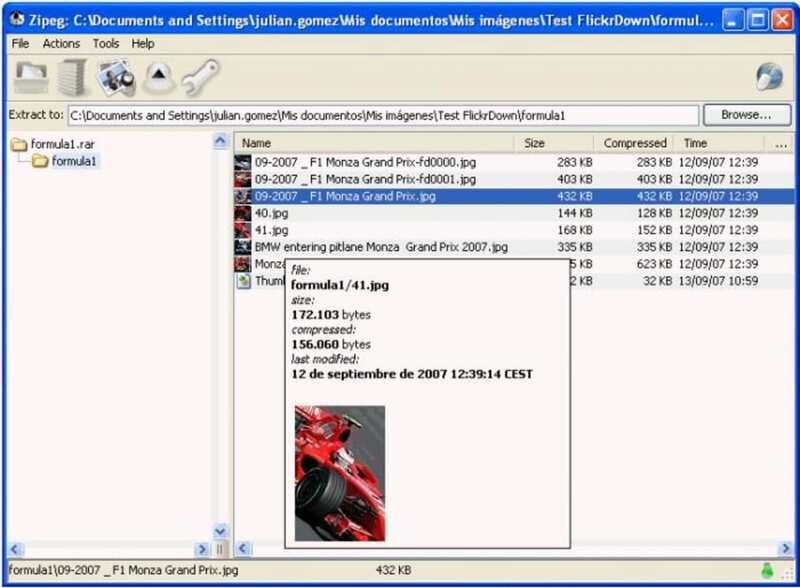 This is one of the best image compression utilities out there although the thumbnails can take some time to appear when you select a file. Great product. Worked flawlessly. Easy to use.. I wish it could also compress files..
@Tech4Me. Hey Tech4Me, Leo is right - your computer most likely already had a virus. All Softonic's files are scanned for viruses by multiple antivirus scanners on a very frequent basis - that's what the green badge with the blue tick beside the Download button means: http://en.softonic.com/antivirus-security. As a result, infected files don't even make it onto the Softonic website. Antivirus scan. Softonic as well as many other download sites scan all their uploads for viruses. Zipeg has hundreds of virus scan badges of 100% clean over the years. However if you system is already infected by a virus(es) than any program you download may be infected right away. If you have any questions or concerns do not hesitate to write to support [at] zipeg [dot] com. Virus Scanner jumped on this file. The description of the software made it sound perfect, unfortunately it appears to be carrying a payload in the download so I didn't actually get to try it out.